The special edition by Christian Landig & Elmar Fetscher. Written in German! 70 pages of concentrated knowledge & around 54 delicious recipes in handy 20 x 25 cm format. You can look forward to a special session on vacuum packaging, sous-vide & grilling. 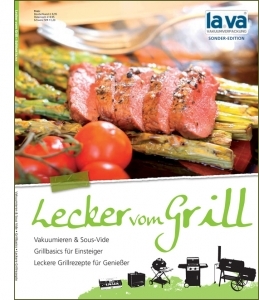 No other lava recipe book has so far penetrated the subject matter, giving you the detailed benefits of vacuuming and the Sous-Vide cuisine. Noble softcover, also ideal for giving away! 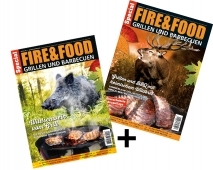 Grilling methods, grilling types, the right cooking point.